Miss Maple Rose — The Cherry Poppers Showcase - December Edition! 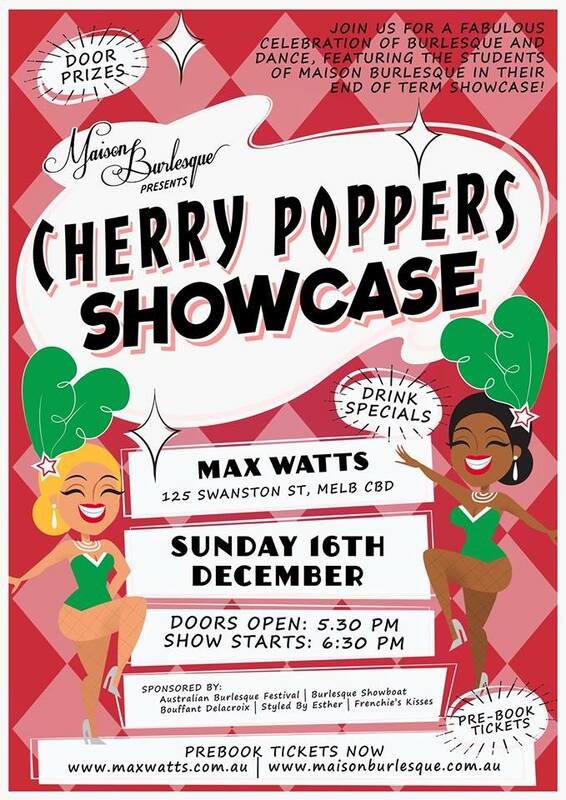 The Cherry Poppers Showcase - December Edition! Join us for a flurry of feathers and rhinestones as we present Melbourne’s freshest Burlesque talent in our final Maison Burlesque Cherry Poppers Showcase for 2018! Featuring debut performances by up and coming burlesque soloists & group performances! Featuring group performances and solo acts by our current Maison Burlesque students.